Innovating the form and function of academic credentials. Empowering Learners and Employers. 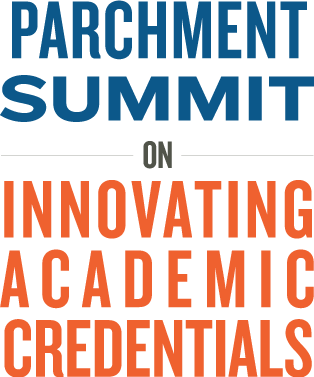 The Parchment Summit was introduced to foster collaboration between technologists, practitioners, higher education leaders and employers that believe in the potential of technology in extending the reach and meaning of academic credentials.